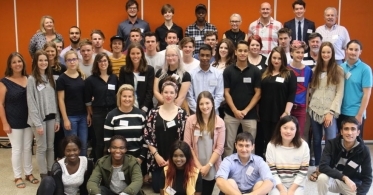 After 3 years of 9 month incubator programs with more than 160 participants, Getting Down to Business ran as an Accelerator in 2017 for 30 young people 16-25 years who owned their own enterprise. Building the enterprise they wanted to create the life they want. 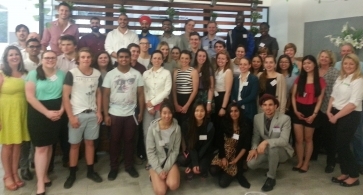 Aged 16-25 years from anywhere in Victoria who already run an enterprise and want to expand it. Monthly Stretch Days; access to business coaches; and free access to a Start Up video series. Aged 16-25 to share ideas, solve problems, build networks, collaborate and add value to their enterprises. To hear their story so far - how they built their business and good and not so good decisions they made along the way. From volunteers with rich business experience to help with the growth of their enterprise or give technical skills and networks to strengthen their business. Free access to online webinars, resources and knowledge to help grow their enterprise when they need it. Steve and Katharina talk about how their businesses benefited from Getting Down to Business in 2014. Our sincere thanks to Moreland City Council for the vision. Copyright © 2019 Enterprising Partnerships.